The problem with test and tag regulations is that there is no explicit mention of the need to test and tag in the Victorian Occupational Health and Safety Act (2004). As an employer, this doesn’t get you off the hook if you haven’t conducted and testing and tagging in your workplace. Let’s take a look at the laws, Australian Standards and regulations that cover testing and tagging requirements in Victoria. The Occupational Health and Safety Act (2004) does not explicitly mention testing and tagging obligations. However, it does confer a legal obligation on employers to take all reasonable steps to provide their employees with a safe working environment that is free from health risks (Section 21). 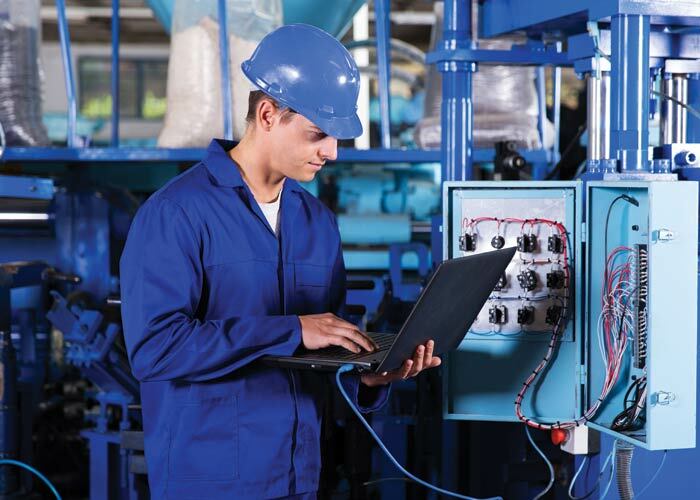 This includes identifying hazards related to any electrical equipment, assessing these risks and either eliminating or controlling these risks. WorkSafe Victoria supports (and encourages employers to ensure compliance with) AS/NZS 3760 – In-Service Safety Inspection and Testing of Electrical Equipment. This Australian Standard clearly outlines that an optimal way to ensure employee safety is through the tagging and testing of portable appliances. For instance, if there is an incident at your workplace, WorkSafe will always measure your practice against the relevant Australian Standard. So, if your electrical safety practice isn’t compliant with AS/NZS 3760, WorkSafe could find that you haven’t taken all necessary steps to create a safe workplace. Every workplace will have different requirements but to provide an example, let’s run through the types of things you need to know if you’re going to make your workplace compliant with AS/NZS 3760. AS/NZS 3760 covers single and three phase (240v-415v) portable electrical equipment, as well as any machinery that is connected to a power supply by a flexible cord. So, this includes everything from microwaves and desktop computers, through to circular saws and industrial printers. Plus, regardless of whether the portable electrical equipment is available for re-sale, for hire, is about to return to service or is currently in operation, it needs to be tested. This standard also covers the testing and maintenance of Residual Current Devices (RCDs) or commonly known as ‘Safety Switches’. The equipment can only be tagged as compliant after it has been subjected to the following inspections: visual, earth continuity, insulation resistance, polarity and earth leakage. The tag attached to each portable appliance must include the item, date, identity of technician conducting test, status (pass or fail) and the required date for retesting. You must also keep, or have access to, an asset register that contains the history of all testing and tagging as well as a record of all faulty item reports and subsequent actions. How often do I have to get my appliances re-tested and tagged? If you aren’t familiar with the frequency requirements for testing, you may think your workplace is up to scratch. The problem is, if an accident occurs and you’ve been late with your testing and tagging requirements, you could find yourself with not only damage to equipment but injuries to staff and in the worst case scenario, death of staff along with large penalties as well. How Can I Find Out About What My Workplace Requires? The best thing to do is contact a trusted test and tag service provider. Make sure they are experienced and certified—a professional technician with the relevant qualifications will be able to tell you exactly what you need to do in order to satisfy Australian Standards and Codes of Practice. You need to contact a Victorian provider as test and tag regulations do vary from state to state and even the tiniest difference can have a huge impact on your liability. It’s important to remember that testing and tagging is about more than simply satisfying a set of regulations. It’s about keeping your workplace safe and ensuring that all of your employees get home to see their families at the end of the day. So contact Anmar today, the test and tag regulation experts. We’ll ensure you have a compliant and safe workplace for all involved.